The QTX Carry Bag Set for PAR Bar and Stand are replacement carry bags for QTX PB-1214 LED Pat Bar System (151.556) and the QTX LED Effects Lightng Bar & Stand (151.552). 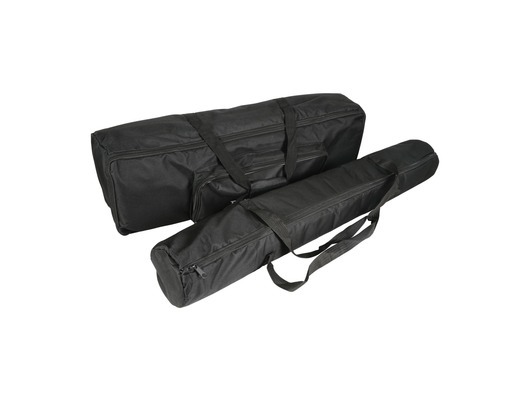 Over time when you're transporting these systems to and from your gigs the carry bags are going to suffer from wear and tear and these replacement bags will be vital to ensure your lighting equipment can easily be safely transported. Set of transit bags for a QTX PAR Bar system with a bag for the PAR Bar and a separate bag for the tripod stand. Each bag is padded for protection and fitted with a zip fastener and carrying handle. Excellent service and value for money, will use seller again.